The gig will take place at London’s O2 Shepherd’s Bush Empire on Monday 23 February. 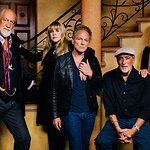 The announcement follows an epic end to 2014 where the band achieved a No.1 single, No.1 album and huge-selling UK tour. 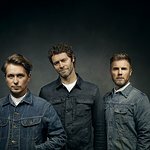 Take That join an illustrious list of acts who have previously played War Child’s annual show, including Coldplay, Muse, Ed Sheeran, Blur, The Killers, Calvin Harris and Mark Ronson. The show gives fans an opportunity to see the record breaking band in the refreshingly intimate surrounding’s of London’s O2 Shepherd’s Bush Empire and will raise funds for children effected by an unprecedented year of violence in war zones including Iraq, Syria, Democratic Republic of Congo, Afghanistan and the Central African Republic. “We’ve seen some unforgettable performances over the last six years, including Gary Barlow joining Coldplay, The Killers and Bono for a legendary encore in 2009. Tickets are priced £75 and O2 customers can get Priority Tickets 48 hours before general release from 9am this Wednesday by downloading Priority in the app store. Tickets go on sale to the general public from 9am on Friday 23 January. War Child UK is a specialist child protection agency operating in some of the most dangerous places in the world.